Was TIGER Eliminated in the Shutdown Deal? Soon after the government shutdown ended, we heard murmurs that the TIGER grant program for innovative transportation projects had been a casualty of the negotiations. Under the rules of the Office of Management and Budget, any program that was de-funded in either chamber’s bill would be de-funded in the continuing resolution (the temporary budget) until it can be replaced by an approved appropriations bill. That’s to ensure compliance with the Anti-Deficiency Act, which basically says Congress shouldn’t allocate money to a program for a given year if it’s later going to say that program has no budget for that year. 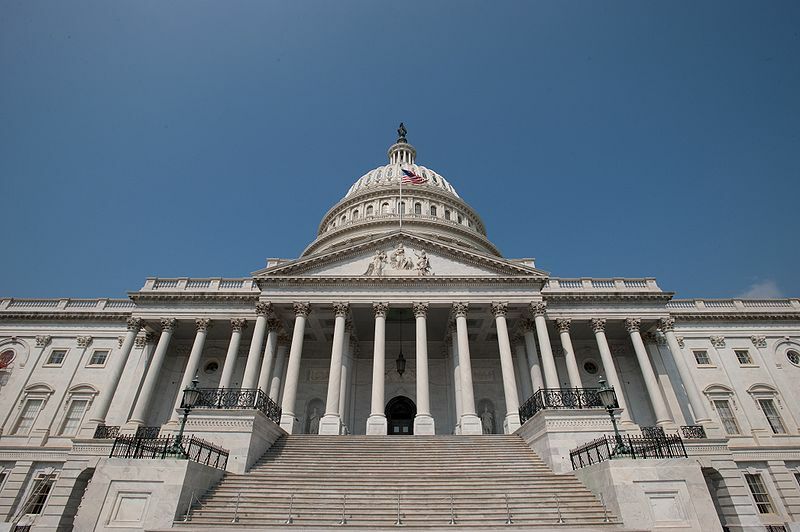 The House, as usual, de-funded TIGER in its budget proposal, while the Senate dutifully allocated $474 million for the fifth round of TIGER grants and another $550 million for a sixth round. Neither chamber passed the budget on the floor, but the OMB rule that ended up de-funding TIGER only requires that the bill be voted out of committee, which it was in both chambers. Pass a 2014 budget. Outlook: negative. Congress hasn’t passed a budget since 2009. It’s nice of the Senate to even bother going through the motions these days, which they didn’t for a few years. If Congress did, miraculously, agree on a budget to send to the president, it’s anyone’s guess whether TIGER would be included. Pass another continuing resolution through the end of FY2014. That would reinstate TIGER funding at last year’s levels, since there would be no risk of a full-year bill violating the Anti-Deficiency Act. Technically, the House could insist on a rider to the CR zeroing out TIGER, but those sorts of things severely gum up the process and it’s unlikely they’d bother for something so small and low-profile. Pass another short-term CR for just a few weeks or months. TIGER and just about everything else would remain in limbo. Shut down the government. It could happen. Even worse: On January 15, when a new budget or CR will have to come into effect to prevent yet another government shutdown, they’ll have to deal with a new round of sequester cuts. Luckily, much of the painful part is already over. Though the 2014 cuts look big — $109.3 billion — that’s the reduction from pre-sequestration levels, not 2013 levels. “Only” another $20 billion needs to come out of the budget this time around, and almost exclusively from defense. So the most vulnerable transportation programs like New Starts and Amtrak, which come out of discretionary, not mandatory, spending, needn’t suffer too much. That won’t stop the House from trying, of course. This continuing clown show leads me to the conclusion that we need constitutional reform. The system is disfunctional and needs to be changed. My proposal is a British style constitution where failure to pass a budget means an election so that the people get to decide. In parliamentary democracies, it is amazing how quickly politicians learn to compromise when the alternative is that there is an election and the people get to fire them. I saw the best answer to the problem in a movie. What they did was randomly select people from the population to be leaders. In the movie the regular populace was dumbed down, so it was really a bunch of intelligentsia who ran society behind the scenes. That part I didn’t care for but the basic idea is sound. Pick random adults for all political positions. If they can’t serve due to disability, or don’t want to, move on to the next person. At the same time ban any form of lobbying. Everyone serves one term only, and then is ineligible to be selected after that for any political position. The incentive to do well once selected is that you know with 100% certainty you will be returning to civilian life after one term. Not having to worry about reelection means you can do things which are unpopular, but need to be done. You can’t vote yourself special privileges while you stay in office forever. Without lobbying, you will be beyond the influence of big business or special interests. It may be better than what we have. It certainly can’t be worse. I was embarrassed for this country while Congress was putting on its little sideshow. There’s a serious dearth of leadership in this country. Leadership isn’t pandering to people, giving them what they want. It’s doing what’s in the best interests of everyone, even if it’s unpopular. The general population needs to understand this when they elect leaders. So SHUT DOWN THE GOVERNMENT. The less government, the better. MORE government sure hasn’t helped anything. Except government bureaucrats’ and employees’ paychecks, and the work they’ve done hasn’t been worth the expense. OK, are you prepared to personally help pave roads, purify your drinking water and filter the air we all breathe? Will you rent a backhoe and bulldozer the next time a hurricane hits? Agreed, there’s a lot that government doesn’t do well, but there’s plenty that no one person or small group can do for themselves because they don’t have the critical mass. Remember the word for what you get when there’s NO government? It’s “Somalia”. The TIGER grant program has, at least in Rhode Island, gotten folks to consider some innovative projects: to help our port, an old downtown section of an inner suburb, and even though not a recipient of a grant, a bike/pedestrian bridge in central Providence on the piers of a previously highway that was relocated. It seems the House GOP has been captured by a faction that seems totally dedicated to maximizing the burning of fossil fuels and opposed to smart growth, programs to encourage biking and walking, rehabiiltating our rail infrastructure, and helping core cities. I think their vision of the driving-only future is one of pollution, ugliness, sprawl, obesity, and urban decay.